Chattahoochee Bend State Park protects 2,910 acres of wilderness adjacent to a large bend in the Chattahoochee River in western Coweta County, Georgia. 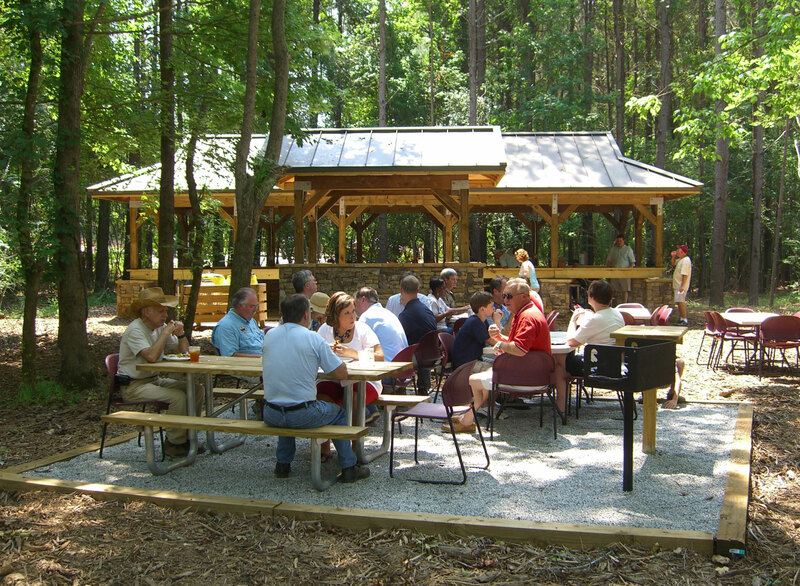 This new park protects five miles of river frontage and is one of Georgia’s largest state parks. The many buildings and structures on the site are united through a consistent design language and a commitment to the environment. 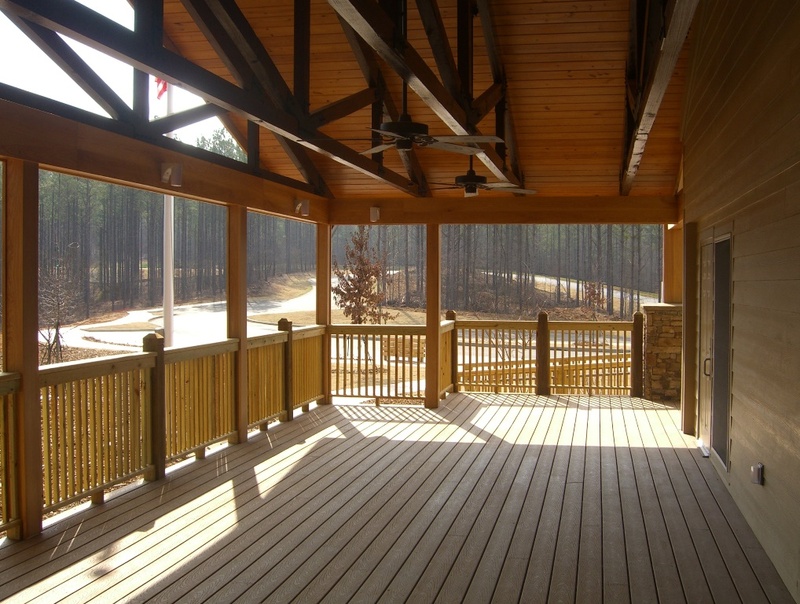 Gerding Collaborative served as the architect for the primary structures within the park, including the visitor center / park office, maintenance facility, staff residence, comfort station, rest station, picnic shelter, information kiosk, vending shelter, and well house. 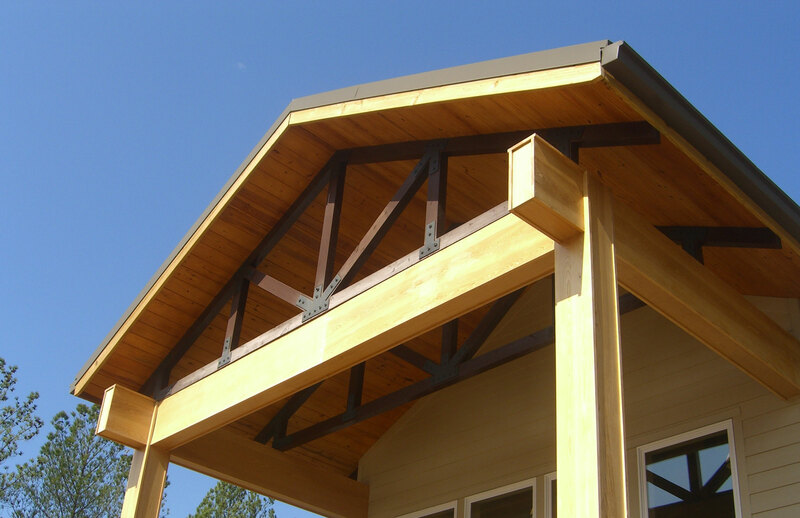 Through a series sun angle investigations using BIM technology, each building was designed with sufficient roof overhangs to maximize exposure in the winter months while minimizing the amount of solar gain and glare in the summer months. 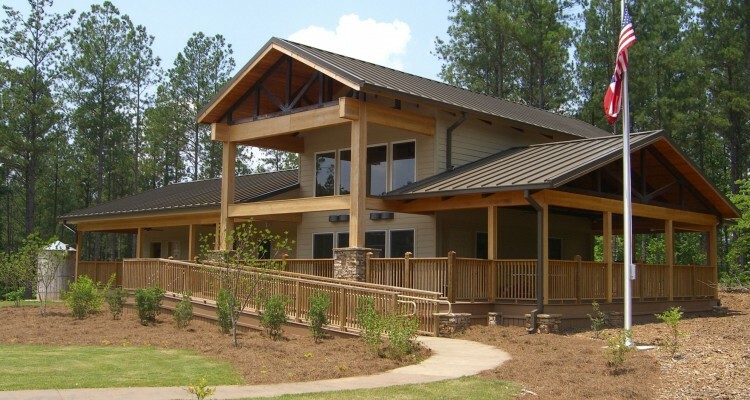 Local construction materials including natural Tennessee stone and reclaimed cedar planks are incorporated into the design, contributing to LEED Materials and Resource credits. 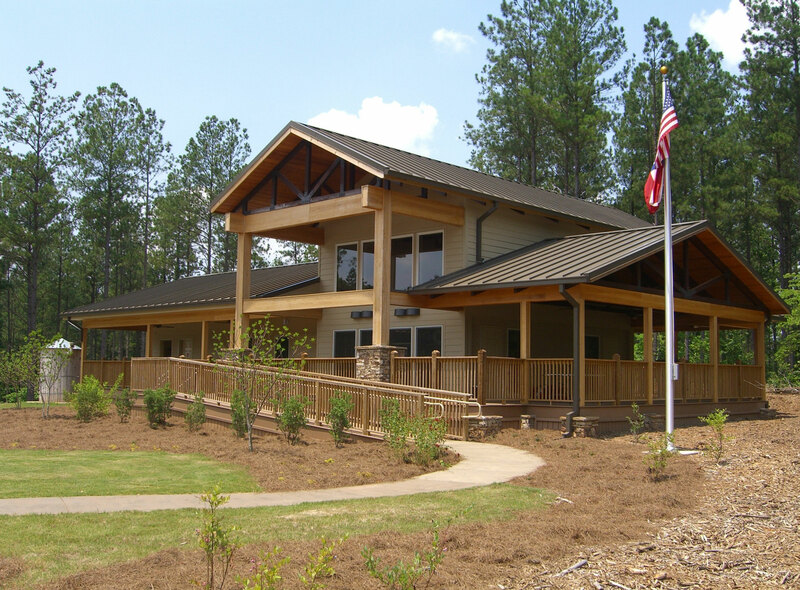 The Visitor Center incorporates a rain harvesting system utilizing the roof for collection and an above ground cistern for storage. Additional environmental strategies are the use of pervious pavement, indigenous plants that do not require permanent irrigation, solar orientation to maximize a building’s overall energy efficiency, Energy Star appliances, and low-flow and waterless restroom fixtures. The comfort station featured two design alternatives for water and space heating. As a bid alternate, a combination solar domestic water heating and hydronic space heating system utilizing underslab radiant piping was designed. The system included roof-top solar collectors, a domestic water heating tank, and a hydronic space heating tank.